This post originally appeared at The Center for International Private Enterprise. The Libyan conflict is not only causing tens of thousands of deaths, destroying a society, and wiping out a state. It also is spilling over into neighboring Tunisia, destabilizing its internal equilibrium, redefining cross-border interactions, and affecting all neighboring countries in the Maghreb. 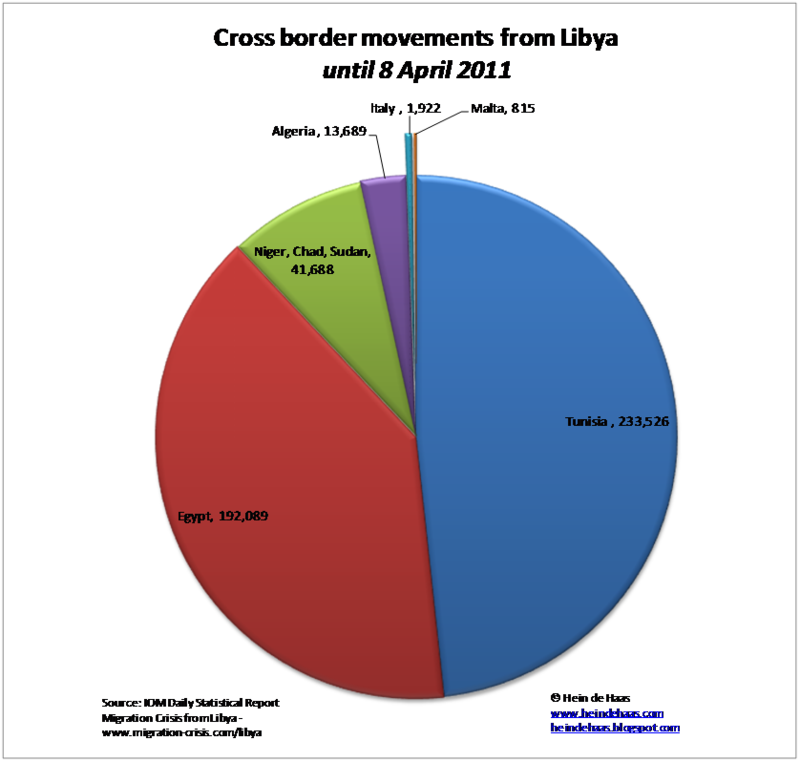 Since the uprising against President Muammar Qaddafi in March 2011, Tunisia has seen a vast influx of Libyan refugees. Cars, decrepit vans, and trucks packed with families sitting among bundles of belongings, suitcases, and mattresses stream into Ras Jedir and Dhehiba – official border crossings in southern Tunisia. According to the former Tunisian Minister of Commerce, the country hosts around 1 million Libyans—equal to nearly 10 percent of the Tunisian population. Libya’s crisis and the ongoing entry of Libyan refugees into the country has resulted in unprecedented social, economic, and security challenges to Tunisia. Despite these difficulties, Tunisia has thus far maintained an open border policy toward Libyans and Libya’s Egyptians seeking respite from the violence in Libya—a decision that’s been praised by UN officials and Western diplomats. No effective regulatory framework defines the relationship between the two countries, “They don’t need [a] visa to enter Tunisia nor any particular authorization to reside [in Tunisia],”stated Tunisian Interior Ministry spokesman Mohamed Ali Aroui. Tunisia bears the brunt of the economic and social spillovers of the Libyan civil war. The 43-mile border (Ras Jedir in Libya and Ben Guerdane in Tunisia) has become a smuggling route for goods, oil, and arms, but also for anti-regime armed groups and terrorists. Moreover, the conflict next door has exacerbated inter-communal conflicts raging within Tunisia domestically. As neighboring Libya sinks into a crisis with no end in sight, tensions continue to intensify in Tunisia, whose political and economic fate has long been intertwined with its neighbor’s. For several decades, certain regions of Tunisia have flourished while others were neglected by state development and investment projects. Now, the post-transition state is under immense strain to address longstanding regional inequalities while at the same time, the Libyan crisis adds to already existing economic challenges. Tunisian citizens feel economic pressures on a daily basis, whether through higher rents, limited access to public services, or a declining standard of living as health and educational infrastructure are stretched beyond their limits. The Libyan crisis also may be at least partly to blame for Tunisia’s lower economic growth rate (2.3% in 2014). The growing size of the Libyan refugee population increases poverty, raises prices and unemployment, and requires higher government spending on social support programs. For example, employment opportunities in Libya were an important part of keeping food on the table for thousands of Tunisian families. According to the International Organization for Migration (IOM), over 60,000 Tunisian migrant workers have returned from Libya since 2011. This homecoming raised unemployment rate in Tunisia, now 18 percent. Libya’s crisis has also had a significant effect on trade of goods and services, causing an estimated 0.4 percent decline in Tunisia’s economic growth. Data issued by the African Development Bank, shows that following the 2011 uprising, exports from Tunisia to Libya experienced a significant decline. At the same time, insecurity in Libya allows informal trade flows to flourish, opening the door for smuggling. A chain of transporters, street vendors, seasonal traders, currency exchangers, and wholesalers facilitate the sale of cheap Libyan goods to Tunisian consumers, hurting Tunisian businesses. There is a huge difference between the price of goods imported informally from Libya and the Tunisian price. For instance, the prices for gasoline and fuel oil are almost six times higher in Tunisia than in Libya. For other products such as cheese, corn oil, and bananas, the Tunisian price is almost double the Libyan price. Despite this dire picture, the consequences of the Libyan crisis for the Tunisian economy are not entirely harmful. Taking a closer look at what each side needs economically from the other is an important first step in understanding each country’s options in weathering whatever might lie ahead. Since the outbreak of the Libyan conflict, the Libyan Government has failed to disarm militias, and the lawlessness that prevails, particularly on Libya’s eastern side, poses a growing security challenge to Tunisia. Indeed, the border crisis between the two countries has opened a pathway for extremist groups to send heavy weapons into Tunisia, and training camps in Benghazi, Derna, and Sabratha welcome Tunisians to join Jihad. “The instability of Libya has profound repercussions on the economic, security, and political affairs of Tunisia. Libya’s stability means stability for us,” said Mongi Hamdi, Tunisia’s former Foreign Minister. There is no doubt that Tunisia has been incredibly generous to refugees, particularly at the societal level. However, the tensions coming from political parties, the private sector, communities, and citizens within Tunisian society are obvious. Some groups are blaming the government for, among other things, maintaining border crossings that are easily penetrated by not only refugees and informal trade, but weapons and militant extremists. Interviewed in 2011, President Beji Caid Essebsi said that the Libyan crisis is “an internal matter.” However, since then, the situation has worsened and now affects all of the Maghreb and Mediterranean countries. Beyond potential political fallout between Libya and Tunisia, the economies of both countries remain deeply intertwined and complementary, and their investments are built on the realities of geography and common interests. Libya’s ongoing deterioration has sharpened Tunisia’s economic woes in various ways since the beginning of 2011, but its eventual reconstruction offers rich opportunities to its smaller neighbor. Libya remains Tunisia’s second largest economic partner (after the European Union). Prior to the crisis, Libya was supplying more than 25 percent of Tunisian fuel needs at a preferential price. Exports to Libya are diversified and represent some TND 756 million in 2011 ($385 million at current exchange rates), accounting for approximately 40 percent of Tunisia’s total exports, and Libya provided TND 90 million ($40 million) in tourism earnings. 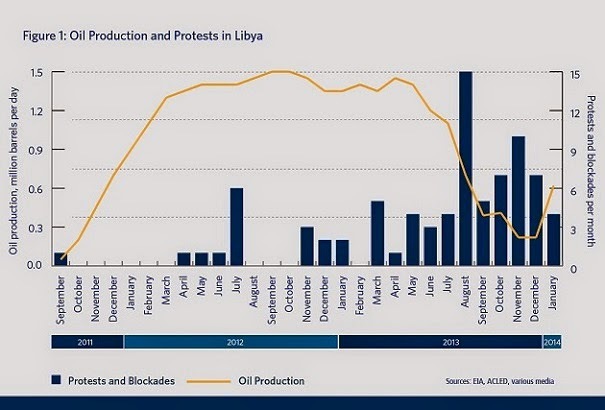 The current conflict in Libya could provide an increased outflow of foreign direct investment from oil-rich Libya to Tunisia, which would encourage future cooperation. Since Libya’s turmoil began, the trade balance between Libya and Tunisia has remained in favor of Tunisia, and the two countries still depend on one another for trade in goods and services, including tourism and medical tourism. Economic recovery is rooted in Libya’s reconstruction. In terms of services, Tunisia could focus its partnership on transferring its expertise in everything from production techniques and trade to marketing, health, and tourism. Plus, the experience of its workforce makes Tunisia the best source for labor at the best price. At the same time, the Libyan labor market has the potential to create jobs and could be a strategic factor in Tunisia’s fight against unemployment. The recent capture of a large arms cache near the border with Libya, including Kalashnikov assault rifles, rocket-propelled grenades, and explosives seized in the southern city of Ben Guerdane, represents a peak in Tunisia’s border insecurity. The more recent Bardo Attack has left Tunisia’s economy vulnerable and added an additional burden to the preexisting security problems. The Tunisian Secretary of State for Security Rafik Chelly has stated that the two gunmen who killed 23 people at Bardo national museum received training in Libya and confirmed that the Islamic State had a role in training and supporting Tunisian fighters in Libya, who then returned to carry out the attack on their own soil. The assailants left the country illegally last December for Libya and they were able to train with weapons there. He also mentioned that 500 Tunisians who fought in Iraq, Syria, and Libya, gaining training and expertise, have returned to Tunisia. While there have been several terrorist attacks in Tunisia since 2011, most have been attacks on security forces in the remote Chaambi region on Tunisia’s border with Algeria. 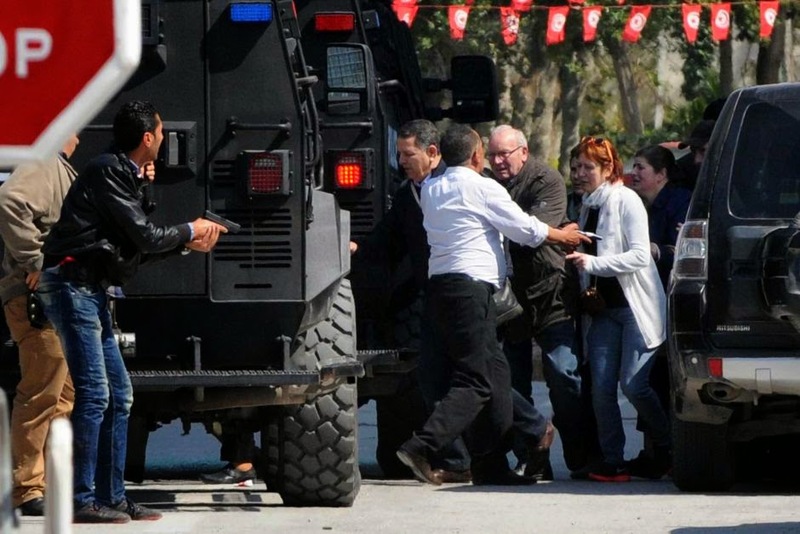 The Bardo attack is thus regarded as the most devastating terrorist attack in Tunisia since 2002, because it targeted civilians and holds implications for Tunisia’s struggling economy. If Tunisia had been successful in securing the Chaambi region over the past months, this is largely attributed to the strength of its Algerian partners, who have contributed a great deal to fighting the terrorism in that area. In fact, through the Bardo attack, Tunisia was thrust into the eye of the storm. Its tourism sector, historically a cornerstone of the economy, has taken a serious hit. Tourism generates seven percent of its GDP and is the source of more than 400,000 jobs, roughly 12 percent of the labor force, in turn serving as an engine for the service sector. Tunisia, which has taken in more refugees from Libya’s civil war than any other country, has had enough. As a result of security concerns, Tunisia once again closed its airspace for flights coming from western Libya. This is in apparent concern about the prospect of returning jihadi fighters to Tunisia. As tensions are likely to continue for the near future, Tunisia has pushed for coordination among Maghreb countries as well as with the United Nations in an attempt to facilitate regional dialogue. Tunisian leaders have stressed the need to preserve Libya’s national and territorial unity, signaling a new era in Tunisian-Libyan diplomatic relations. More ought to be done to address the humanitarian, economic, and security dimensions of the Libyan crisis. A fruitful relationship between Tunisia and Libya should minimize any negative social or political consequences of the current situation and prepare for future shocks or threats. Greater support from national and international partners is necessary to address this humanitarian crisis and meet the needs of the two countries. First and foremost, the Maghreb and the Mediterranean countries – concerned as much as Tunisia by the proliferation of the conflicts – will have to do their share. Close economic cooperation is also needed – the efforts of multinational institutions such as the World Bank and the IMF should complement the efforts of Tunisia, IOM, the United Nations, and other aid organizations. Concern about the growing refugee population is partly due to Tunisia’s own limited resources. The influx has taxed the economy and infrastructure of the politically fragile nation. So, can a resource-poor and debt-ridden Tunisia resist further pressure? Now is the time to double down on assisting the Tunisians and Tunisia’s democracy. More security aid will be needed in the coming months; similarly, development aid will help Tunisia to invest in maintaining infrastructure and services, thus setting up the economy for future growth.